Shawls are one of the most popular winter essentials as not only do they keep women warm but are also a great fashion accessory. While traditionally women just wore shawls to keep warm, they now wear them to create a style statement as well so more and more knitted shawl patterns are designed in ways that incorporate different patterns and motifs so that they can be paired with a variety of outfits quite easily. 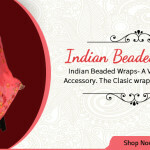 Due to this, these have made somewhat of a comeback when it comes to Indian ethnic fashion. Knitted shawls are extremely interesting because they are usually made of wool and this creates a unique and unforgettable textural appeal when paired with any outfit. 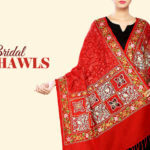 One of the most coveted and well known forms of patterns for knitted shawls is the kashida embroidery type which essentially originates from Kashmir and is extremely unique. A kashida shawl is usually either white or cream colored and has embroidery work done all over the body in thick colorful threads. More often than not, these use motifs or patterns that are derived from nature such as flowers, birds, trees and vines. When it comes to having a shawl with interesting textures and patterns, this one is certainly it. 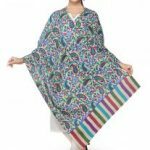 Other kinds of hand knitted shawls tend to have abstract prints and patterns on them in order to have their own appeal and can be made from different kinds of wool. For instance, the exceedingly popular pashmina shawl, which also originates from Kashmir, is made from the wool procured from goats and is one of the most expensive and opulent kinds of shawls available in the market. They have an extremely light texture and are quite thin in terms of width as well. Interestingly, the first ever shawl to have been worn dates back to the Assyrian period where it was known as a ‘shal’; these were widely used in the Middle Eastern countries, though they were also noted as a prominent aspect of Kashmiri attire for men as well. This winter essential was also immensely popular during the Mughal Era in the Indian subcontinent, during which one of the most commonly used patterns or motifs was the paisley, which is still relevant and used today. 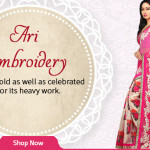 It is a quintessentially Indian type of design. Besides wool, other types of combination fabrics can also be used to make shawls, such as cotton wool, silk wool and so on. These are not quite as warm as wool and should therefore be worn only for autumn or spring occasions. If you are planning to make your own hand knitted shawls, free patterns can be found on the internet quite easily but it’s always better to stick with the time tested patterns before you start experimenting so that you can get the hang of creating a simple knitted shawl pattern first before you move on to harder ones. However, when it comes to knitted shawls, patterns are not always a necessary form of expressions. Many women prefer contemporary styles such as tie dye in their work as well and this leads to some extremely interesting forms of designs and styles. 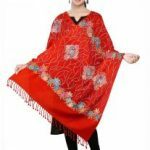 When it comes to knitted shawls, the beauty of this is that it can be paired with a variety of garments ranging from items from Indian ethnic attire to indo western garments as well. They can also be worn for casual occasions as well as semi formal and formal occasions so there are no restrictions when it comes to these items. While these are mostly worn during the winter months because they are meant to keep one warm, some women also wear lighter shawls in the summer months to protect their skin from the harsh sun. Pairing an indo western tunic and colored leggings along with an interesting knitted shawl can create a unique look while also keeping the wearer extremely comfortable. Most women prefer this look because it is more convenient and fashion forward than pairing them with Indian ethnic attire, especially when worn in a formal context such as the work place. 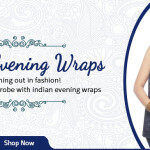 However, for formal occasions, many women also pair them with sarees to prevent themselves from feeling cold and to create an interesting flowy and feminine look on the whole. Thus, this garment works with every kind of outfit in the market. When it comes to jewelry, items can be paired on the basis of what is being worn. Street jewelry is extremely easy to maintain and looks great with indo western attire while Indian jewelry would look better when the items are paired with sarees or other Indian attire such as a salwar kameez set.